Military personnel who are considering relocating to the Las Vegas area have a terrific amount of housing inventory available at affordable prices. Military relocation families can find excellent deals in a new home. 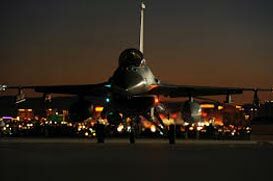 Nellis Air Force Base known as the “Home of the Fighter Pilot” is part of the United States Air Combat Command. It is home to the largest and most demanding advanced air combat training in the world. NAFB is located in North Las Vegas, approximately eight miles northeast of the city center of Las Vegas, and less than 30 miles northwest of Lake Mead and Boulder Harbor, NV. If you are transferring to Nellis Air Force Base and want to purchase a new home, regulations require you to visit the housing referral office at the Air Welfare Center before renting or buying off-base, but this is no problem. The housing office has listings of homes for sale, along with maps of the area, school information, community information, and a copy of the military transfer clause. Military members are also entitled to various allowances to ensure the transition to a new location is as smooth and stress free as possible. We, at the Snyder Group Network are happy to eliminate all of your stress and make the process even better.